We are a firm of solicitors committed to providing affordable first class service to our clients. We specialise in conveyancing both residential and commercial, will and probate and debt collecting. We can also help on immigration issues. We have 10 dedicated team members. 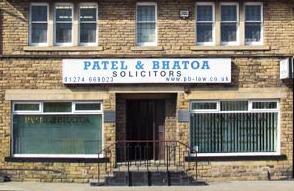 Regulated by the Solicitors Regulatory Authority. Registration number 62865. We provide a range of legal services. Competitive fees. Please contact us for free estimate.